"The doctor gave a choice. Either get an abortion or risk losing both babies at full term. We did not have the heart to choose, and now fate is choosing for us." Manjula was pregnant was twins. She and her husband were overjoyed at the thought of completing their family until they received a horrifying news. 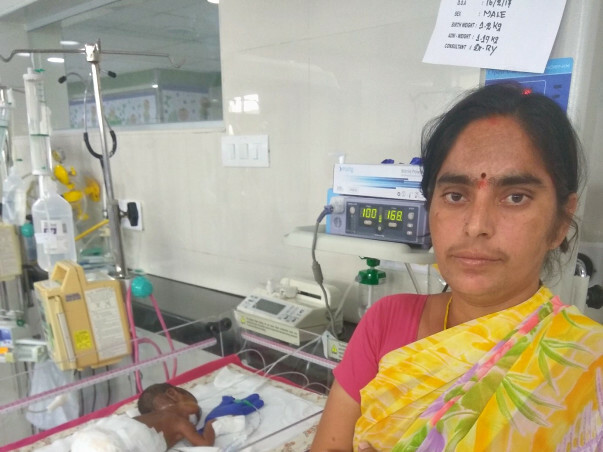 Manjula delivered one baby preterm while the other died in utero. Now the premature baby is in the NICU requiring supportive care to help with breathing and feeding. Srinu and Manjula are from a small village called Kommipadu in Andhra Pradesh. They have a 10-year-old son and were expecting their next child. 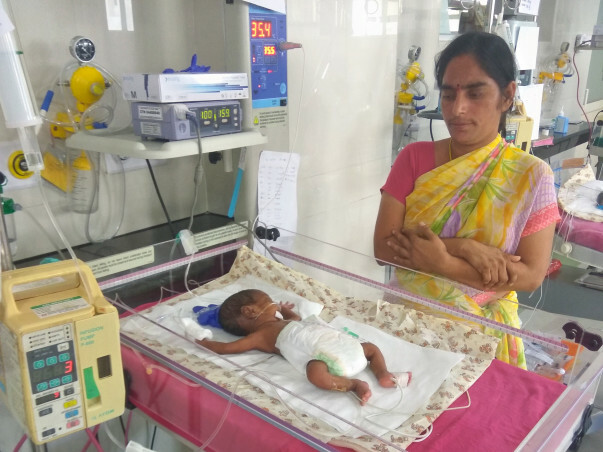 When they discovered about the twin pregnancy, their joy was shortlived as they also found out that one of the babies had a kidney problem with little chance of survival. "We have heard of children having a problem after they are born. We never knew they would contract something while in the womb, where they are supposed to be the safest." The couple had a choice - abort one of the twins at the 4th month or risk the chance of losing both the babies at full term. The parents decided to keep the twins hoping a miracle would save them both. 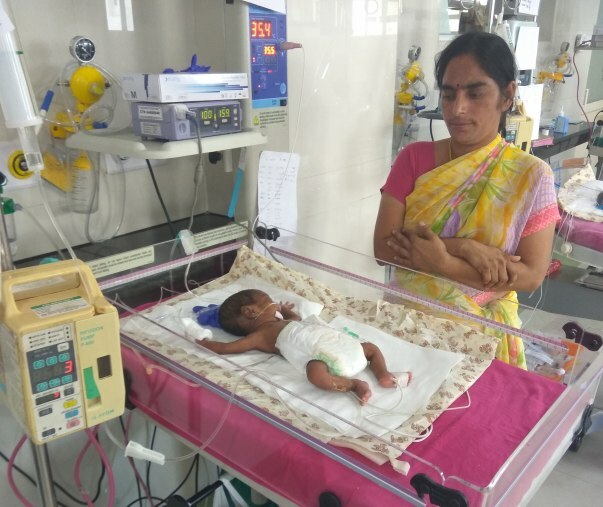 At the 7th month, Manjula had a normal delivery and delivered one of the twins only to find out that the other died in utero. 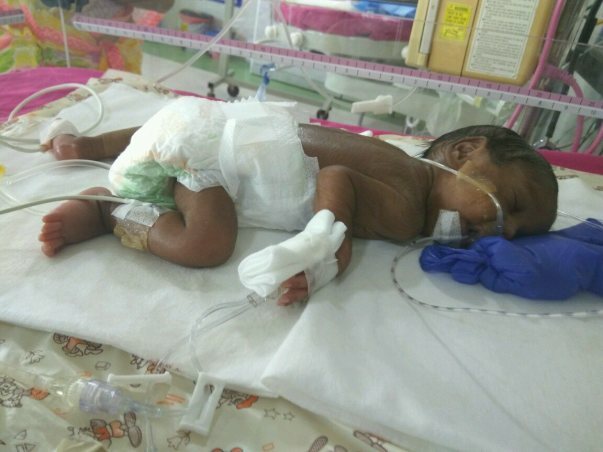 The premature baby had to be rushed to intensive care for respiratory support and help with oral feeds. 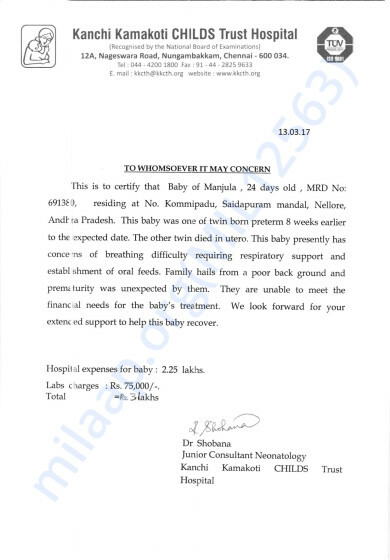 As the premature delivery was unexpected for the parents, they do not have enough funds to fulfill the medical needs of the baby. "Manjula is still in the hospital with the baby. I get to go visit during the visiting hours. I am a carpenter earning Rs. 600/day at the maximum if I have work. I never thought I would need Rs 3 Lakhs on hand by the time our children were born. Now, we lost one of them, and might lose the other too if we cannot support the treatment." Your contribution will not make up for the loss of a twin, but can certainly save the other baby's life.